Ok, ok. I know that you are probably thinking that this post title is an oxymoron, but stop and think about it for a minute. Look around you and see the clutter that is there. What stories does it tell? What does it say about your family and your life? What meaning does it hold? I would love to tell you that my house is perfect all the time, but lets be real, clutter is a part of my daily view. The idea for this post came one evening as I thinking of post ideas and looking around my home to draw inspiration. As, I was looking around I saw some of the clutter that was around me. Even though it drives me nuts sometimes, it all has meaning and it all tells something about this season of my life. Well, lets take a look at the clutter in my home, and see what it says about me. Oddly, I love seeing these around the house. 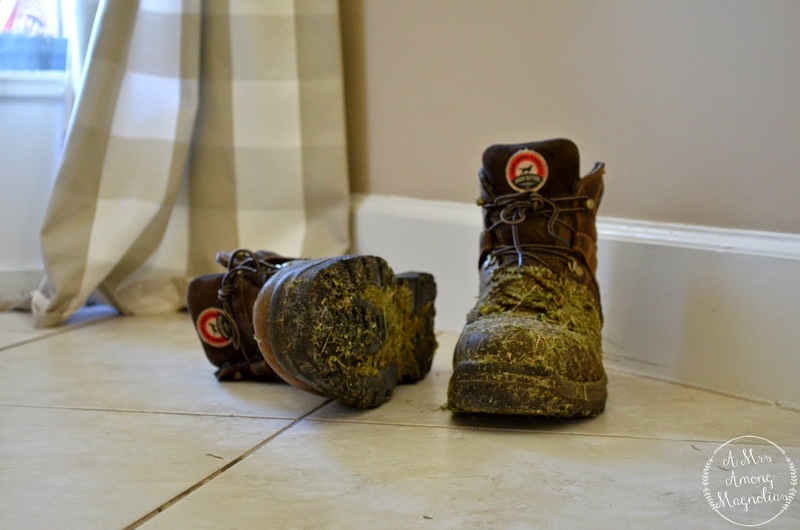 He usually only wears them when he's doing yard work, unless its cold outside then he wears them more. But, they remind me of how hard my husband works, and how much pride he takes in our home and keeping it pretty outside. A mess of pillows and blankets. This used to drive me crazy! I hated having pillows all smashed up with a blanket, but then I thought about it. 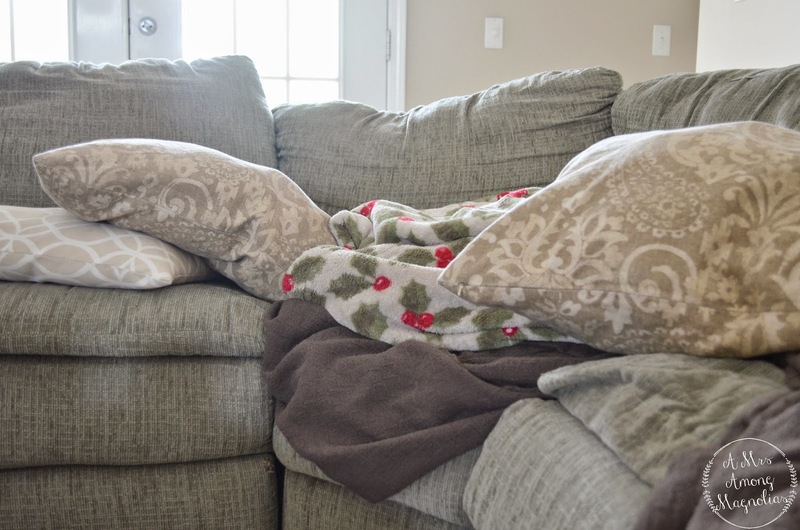 These unfluffed pillows and wadded up blankets represents the family time we spent together on the couch watching TV, talking or playing on our phones/laptops/tablets. This time is precious and I love every moment I spend with my little family. 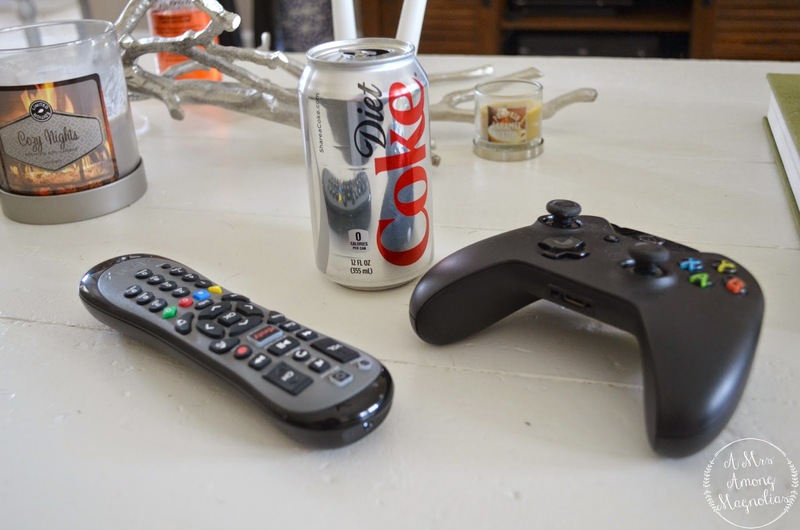 On any given day, my coffee table is bombarded by diet coke cans, remotes, computers, dishes and so much more. My coffee table gets good use and I love it! Whoever owned this table before also gave it a good beating, so I am not worried about adding a ding or a scratch to it. Our coffee table is like our gathering place. The bench in my office, is literally a catch all for most anything that comes into my office. 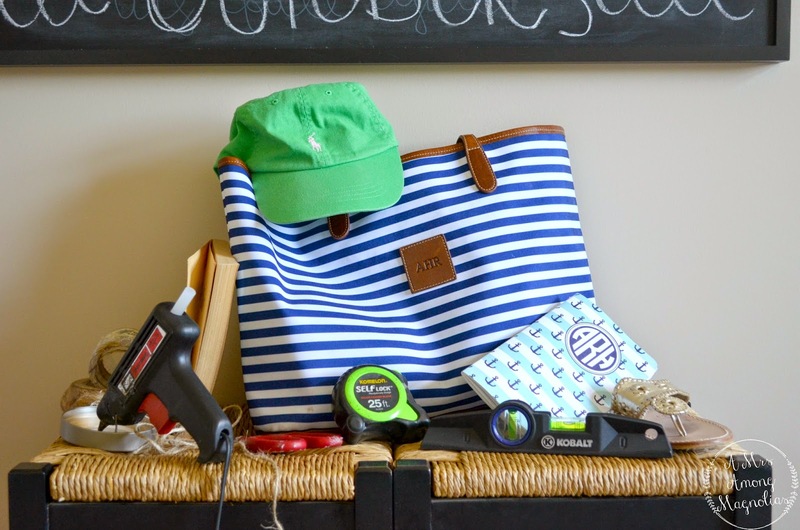 I mainly use it for my purse and shoes, but on crafting days it can start to look like this! But from this clutter comes my creativity. 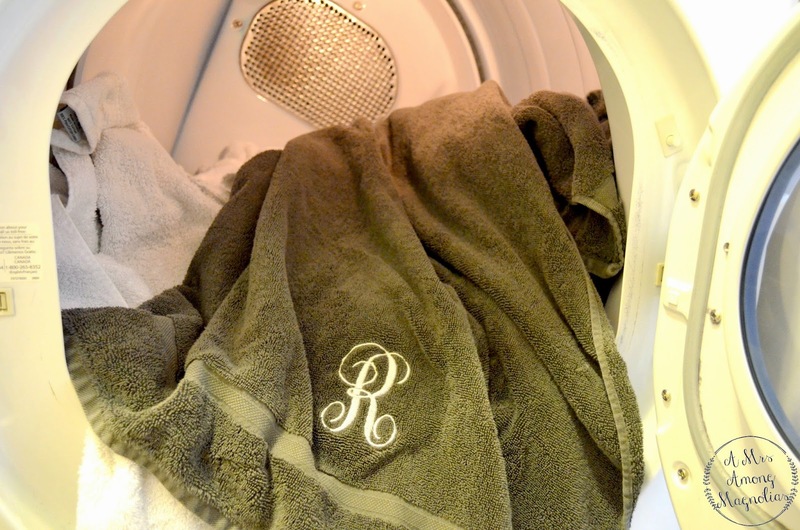 Normally Saturdays are laundry days in our home, but during football season laundry can sometimes be forgotten in the dryer. I strive to get all the laundry done in one day, but depending on how crazy College Football is it might not get done. This past weekend was a prime example! So, look around your home, what does your clutter say? What stories does it tell? 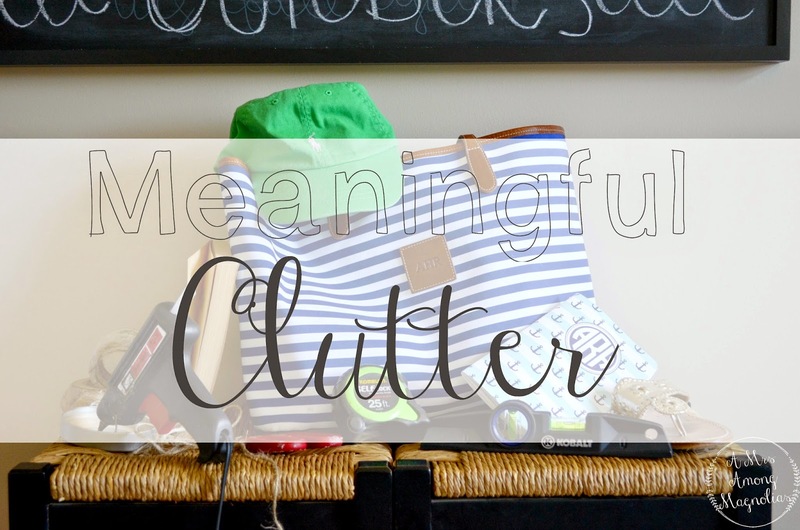 Clutter may not be desirable but don't push it aside until you look for its meaning.